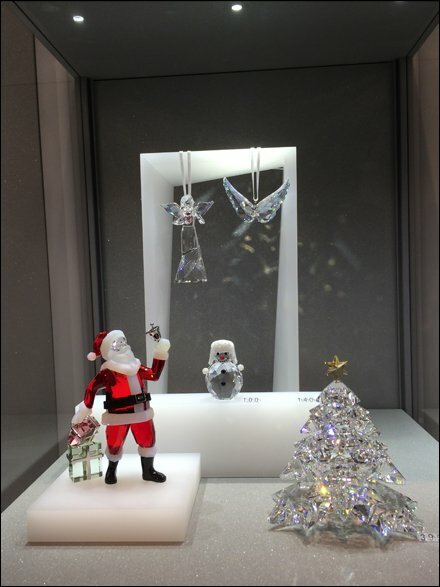 Somehow the Christmas Holiday is merrier if your own products can join in the festivity, like Santa at Swarovski. 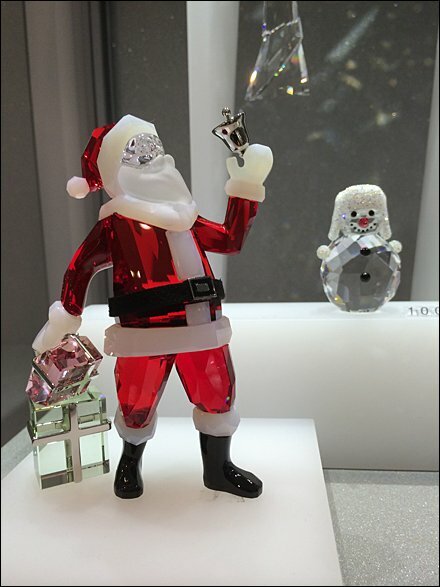 If only he was a bit bigger for the main store window instead of seasonal Museum Case at the rear of the store … to pull shoppers past all the other offerings,I am sure. Note in particular the tiny, understated Swarovski-esque approach to pricing which was reviewed in greater detail in an earlier post.